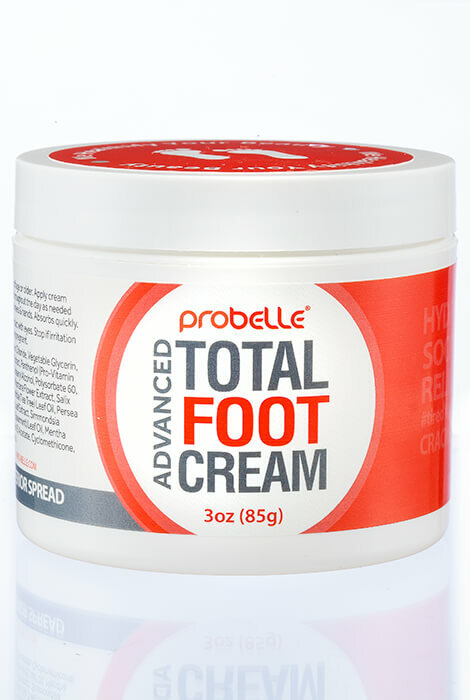 Probelle® Advanced Total Foot Care provides sweet relief for suffering feet with soothing vitamins and botanicals. Aching, rough, cracked feet need advanced revitalizing care. 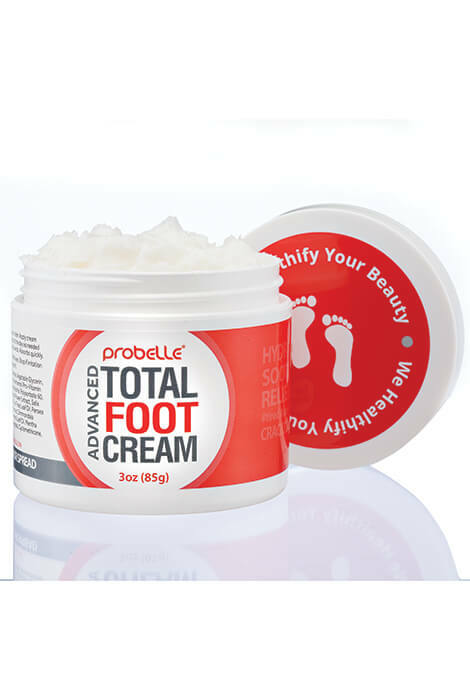 Developed with total foot health in mind, this botanical based foot moisturizing cream is bliss for your feet. A carefully formulated blend of vitamins, natural oils and botanical extracts helps rejuvenate dry feet, soften and hydrate skin and promote circulation. Revitalizing foot cream for tired, sore, rough, dry, aching, cracked feet. Use after bathing and before bed for maximum relief. Apply cracked heel cream over entire foot and ankle. Use throughout day as needed to rejuvenate feet. For maximum results, exfoliate with the Probelle® Nickel Foot File prior to applying. Free from parabens. Not tested on animals. Made in the USA. 3 oz. Adults and Children 12 years of age or older; Apply cream over entire foot and ankle before bed. Use throughout the day as need to rejuvenate feet. The information provided about this product seems good and should be useful to me..